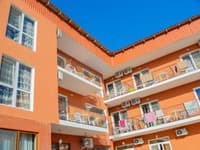 Book this mini hotel at a discount! 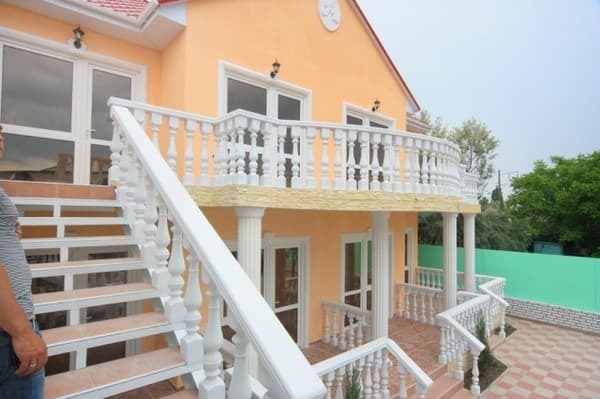 The mini-hotel "Aladdin" is located in the Liman district of the resort of Zatoka, 700 meters from the sea and 5 minutes walk from the Dniester estuary. 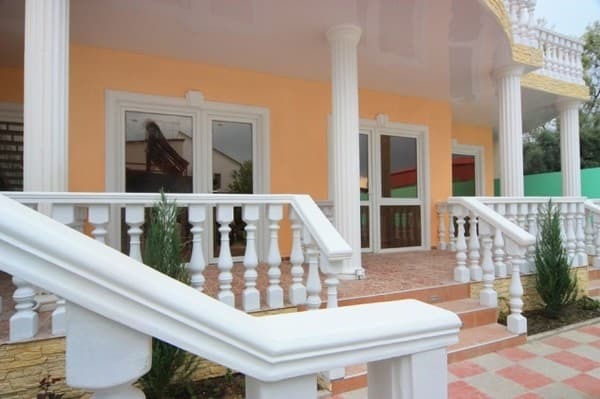 The hotel has 25 superior rooms, each of which is equipped with modern furniture, air conditioning, refrigerator, TV. 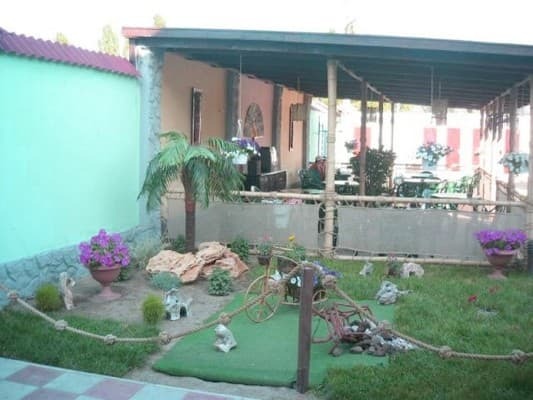 The rooms have a veranda or balcony, on the spacious territory of the hotel guests can relax in comfort, sitting in a bar or at tables in the shade. An iron is available on request. Hot water is supplied around the clock. Children under 6 years without a separate bed are accommodated free of charge. Additional places are not available. 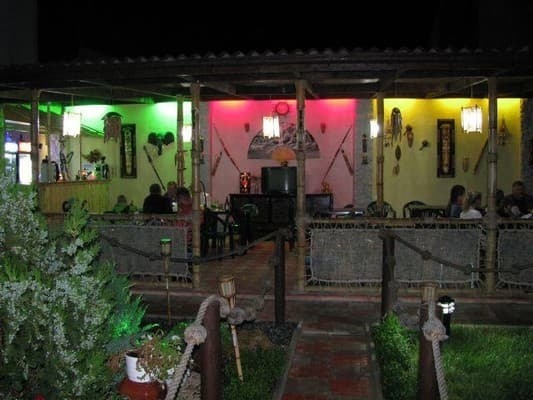 There is a cafe on the territory of the mini-hotel, where it is possible to order meals from the menu. The approximate cost of an integrated 3-off meal is 150 UAH. per person. There is a children's menu. There is no kitchen for self cooking. 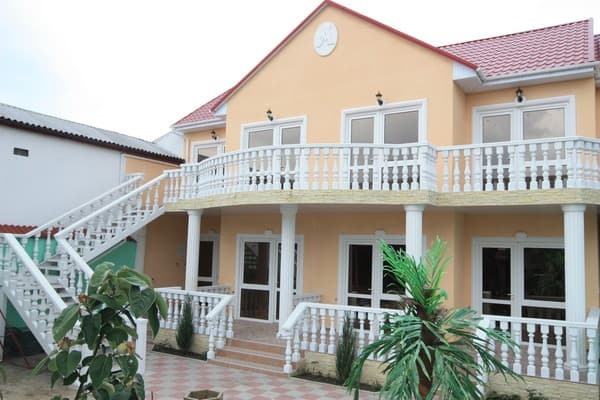 The mini-hotel "Aladdin" is located in the Liman district of the resort of Zatoka, 3 minutes walk from the sea and 5 minutes walk from the Dniester estuary. From the railway station Odessa shuttle taxi №560 to the station Limanskaya (40 min). In 100 meters from the stop on the right side (in the course of a fixed-route taxi) on the 319 stretch is the hotel Aladdin. 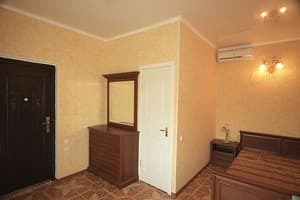 It is possible to organize a transfer from Odessa.